The homeowners were able to vacate safely, but lost several pets in the incident. 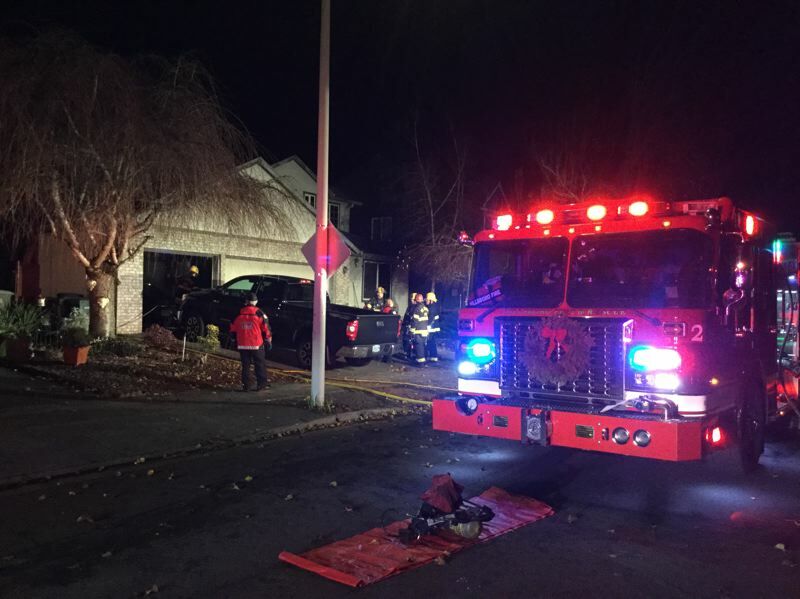 The Hillsboro Fire Department responded to a residential fire early Tuesday, Dec. 4, just after 1:30 a.m. in the 3000 block of Southeast Tumblestone Drive in Hillsboro. Firefighters arrived to find the homeowners safely outside the home after being awoken by the sound of broken glass and smell of smoke coming from downstairs, according to Hillsboro Fire spokesman Bruce Montgomery. The couple had evacuated through the window of their second-floor bedroom as the fire began on the first floor, he said. "Firefighters entered through the back (of the home), quickly extinguished the flames and began clearing the smoke as they searched the home for the family's dog and three cats," Montgomery said. "Regretfully, the dog and one of the cats was found deceased. One cat was found alive, and one cat is still unaccounted for." A total of 20 firefighters responded to the residential fire. There were no injuries reported. The cause of the fire is currently under investigation, although it was quickly determined that there were no working smoke alarms in the home, according to Montgomery. "Hillsboro Fire Department reminds residents that working smoke alarms are the most important warning system that you can have when it comes to fire," Montgomery said. "Additionally, take time to develop a home escape plan with two ways out of every room in your house and a family meeting place out front."